Starting a farming business is very easy and very profitable. Success can be easily attained when you make the right choices and decisions in this kind of farming business. 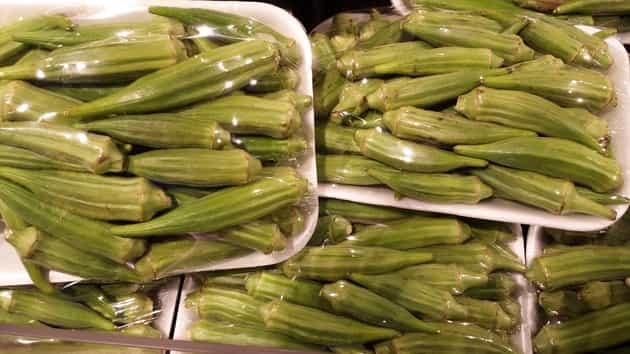 You must have the proper materials and requirements such as time, expertise and knowledge about the process of growing okra. Managing an okra farm is very easy if you have a green thumb and patience. Growing okra can be a very impatient job but all it needs is patience and dedication. You will soon realize that this is a great investment because the product is very in-demand. Okra farming may sound very easy but its not. There are many procedures that you need to do and follow. Before starting a business like this you must first learn the important factors and techniques that are needed to be done. The first thing that you must do when starting a business like this is to look for the right place where to plant and farm the okra. The whole field where the okra is going to be planted bust have the same and equal amount of sun to avoid shorter crops. Okra grows in any pH level but light is very important, the field must also have a very fertile soil if not you can add plenty of well composed manure. After making sure that the field is good to go the second step is to plan the okra seed when the climate is mild and the soil temperature is 65 degrees Fahrenheit because if the soil is cool the seeds may rot and never bloom. You also need to be careful about the cool seasons that may come, it is very advisable to start this business when its summer because it is very warm and sunny. You can cover the seedlings with floating row covers or cloches from cold weathers and temperature. After you’ve done all these steps the okra may grow into a fully adult plant and start producing pods. When the okra pods are already 3 or 2 inches long and still soft you can already start picking them before they become inedible and fibrous. The success of a farming business depends on the performance of the owner whom is managing or running it. Okra farming can be a very long process and frustrating, but if you like to plant things or have a green thumb this business maybe very easy for you. You must be very patient when managing this business and properly take care of the plants because it will give you a very good profit. Use natural fertilizers that will make the okra taste delicious and very productive. Beware not to use too much organic fertilizers because the okra’s may taste very bitter. You can also use pesticides that may kill the pest that are infesting your farm. Okra farming is a very profitable business because the vegetable is very nutritious and delicious. One of the main benefit of this business is that is very easy to do and not very much expensive. Another benefit it that the vegetable is very in-demand around the world because of the vitamins that can be obtained from it. This is the business am interested in running. I really enjoyed the knowledge you have given. In Uganda here, the market may not be very clear. Please advance. Please I need a guide on how to go into cultivating 3acre of okra. If you can't get out and cut okra pods Every day ? DON'T THINK you are going to be an Okra farmer! The pods on a mature plant will DOUBLE IN SIZE EVERY DAY ,so you forget to pick one day and the next day they are TOO BIG!!!!! Been there done that!!!! GOOD LUCK and pick DAILY!!! !